We’ve already learned how to connect with fans and promote your band using a custom mobile app design, so now it’s time to showcase some of the best bands that utilize custom mobile app design to its full potential. Starting a band is not the easiest thing in the world, and marketing your band is even trickier. Whether you rock Christian, Punk, Country or another type of music you need to reach out to your fans and give them a way to access your band through their phones. You can start by learning how to promote your mobile app and then use this information to figure out exactly what components need to go into your band’s mobile app. After that, take a look at the bands below for tips on how you can maximize your custom mobile app design. The iBuildApp template library provides plenty of mobile app templates for bands, so get your feet wet and start using these mobile app templates to share your music with the world. 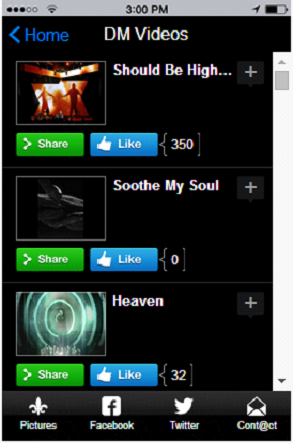 Let’s take a look at a few bands that rock at custom mobile app design. 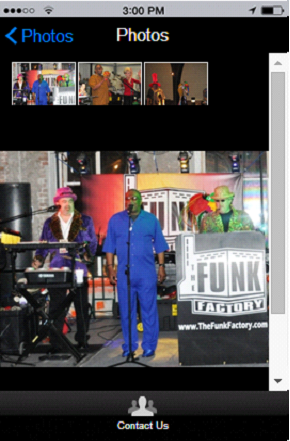 The Funk Factory uses a simple mobile app templates for bands from the iBuildApp template library, and it works out nicely. 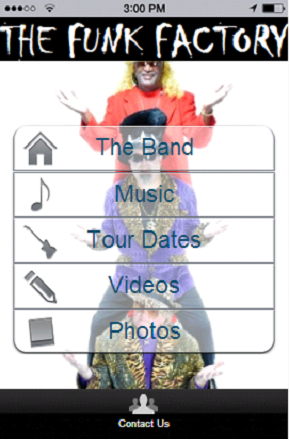 The band features their personality and images on the homepage to give people an idea of what they can expect. 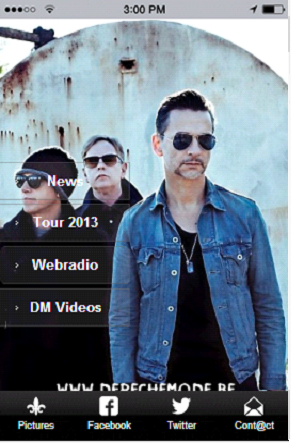 The homepage includes About pages, videos and tour dates in case you want to catch them on the road. My favorite part of this app is how the band gives its fans tons of videos and photos to look at. If you planned on hiring the band for your upcoming event you would want to hear what they sould like and see how they look on stage. 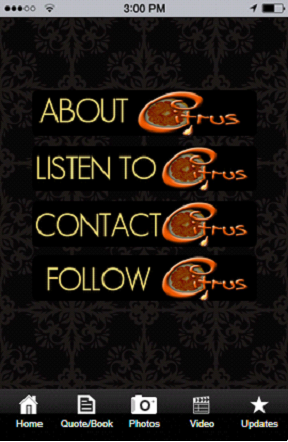 Citrus uses nice repetition and branding on their homepage by repeating the band logo without making it look too overbearing. 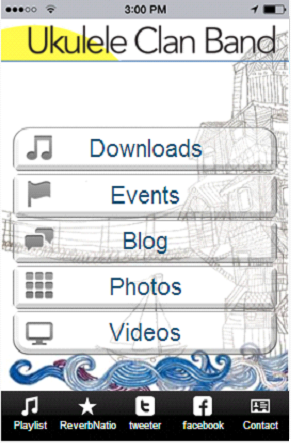 The app includes a simple design with consistent background colors on most of the pages. 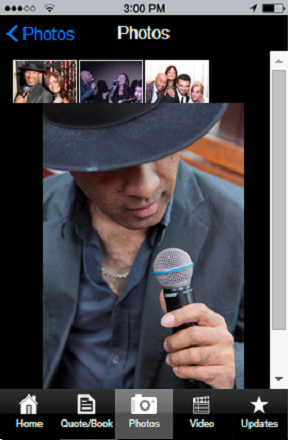 There are large Contact and Listen To buttons on the homepage so people can hire the band or checkout its music. 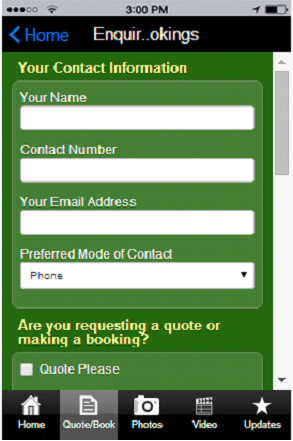 The Citrus band also has a nice booking page with several fields that capture as much information about the booking opportunity as possible. One thing I noticed about the Citrus band is that they provided professional photos in their image gallery. Although the occasional behind the scenes image is great to connect with fans you want to ensure that your images don’t look like they all came from a phone. 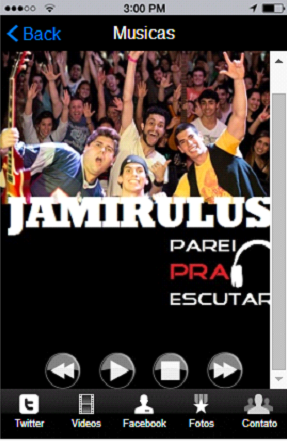 Banda Jamirulus takes an interesting approach by showing the band members in front of their crowd on the homepage. This shows potential fans what the concerts are like and that the band already has a loyal following. 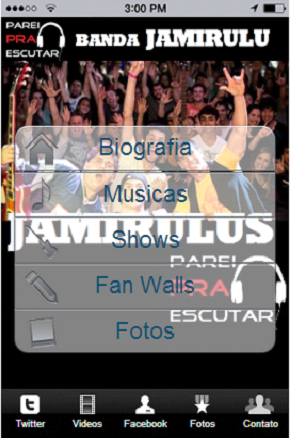 The band includes every portal they need to connect with fans such as a fan wall, Facebook page and Twitter page. Including your social account in your custom mobile app design makes it so your fans don’t have to switch from the app to a browser to see your social accounts. 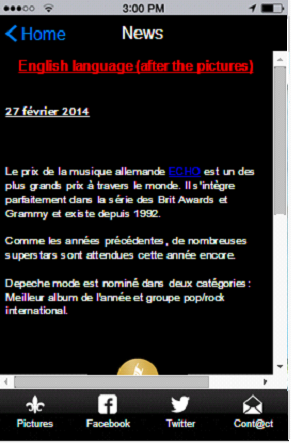 Jamirulus also provides nicely designed music pages that maintain branding for every single page. You also receive large buttons to play the music on your phone without any problems. The Ukulele Clan Band has one of my favorite custom mobile app design homepages, since they uploaded a professionally designed image that reflects the style of their band. I’ve noticed that many bands try to upload an image of the band for the homepage, making the buttons and text difficult to see. That isn’t the case for the Ukulele Clan Band. This band does something that not many bands seem to keep up with: They provide a link to their upcoming schedule, but they also keep it updated. Along with a nicely formatted playlist and plenty of options for fans to connect, this is one of the sleekest band apps on the iBuildApp store. Depeche Mode Be pulls something off that other bands seem to struggle with. 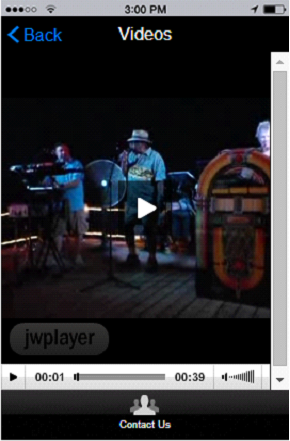 They include an image of the band for the homepage without completely destroying the button visibility. 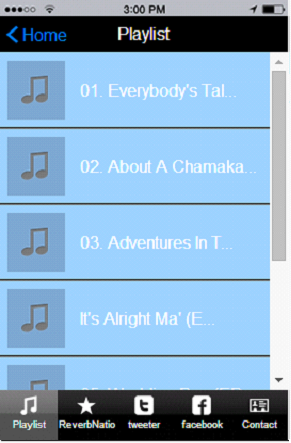 Although they could probably move the buttons down a little, so that all the white text is on top of a black background, it seems to work just fine. 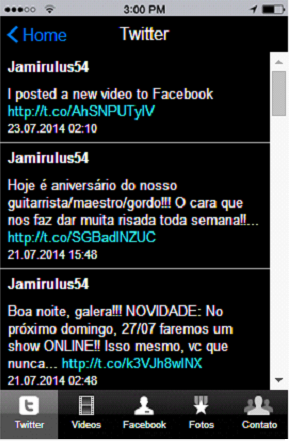 The band provides instant buttons so that fans can find quick play links and information about the band. They never change the black background, meaning the app is branded well. Let us know in the comments section below if your band is working on a custom mobile app design. Share your thoughts on the mobile apps for bands above and chime in if you think your band has a mobile app that deserves some recognition.